Anyone fasting? I am! Just intermittently, of course. Intermittent fasting is the method of regulating the power of insulin in your body. Insulin is the master hormone of your body which regulates metabolism. 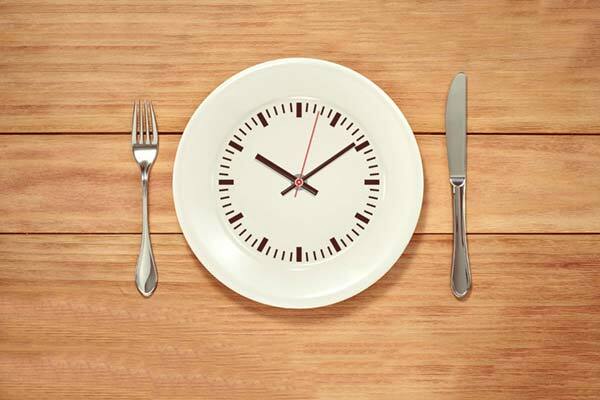 The purpose of Intermittent fasting is to limit or restrict the body’s baseline insulin production. Unless you have type 1 diabetes, your body secretes insulin every time you eat foods that elevate your blood sugar. Insulin signals your cells to absorb this sugar from your bloodstream and use it as energy. However, if your body doesn’t require the sugar in your blood for energy at the time you have an elevated level of insulin, your cells will convert the sugar into triglycerides and deposit them right into your fat cells and you will gain weight. When you are fasting, your insulin levels should be close to zero. Because there is no insulin to signal the storage of fat, the body is actively breaking down stored fat to create energy stores for our organs and muscle: you lose weight. It is this simple: You are either feeding or fasting. When you feed, insulin spikes and you store fat. When you fast, insulin crashes and you burn fat. Insulin levels are also low when you are on a ketogenic, low carb diet too. Intermittent fasting is a method of eating whereby you begin to control WHEN you eat, thereby controlling when you secrete insulin. This extends the hours of the day the body is fasting and creates more time for fat burning. Most people start by fasting 12 hours on, 12 hours off, eating from 8a-8p then nothing after 8p. Then they might move to a cycle of eight hours feeding, 16 hours off after a few days. The hours of feeding will depend on your lifestyle and work schedule. You may drink water and (unsweetened) coffee or tea while fasting. Some people can tolerate two days of 24 hour fasting out of every week. Fasting is not for everybody, and fasting is not an eating disorder. Consult with your physician before starting a fasting program and consider metabolic laboratory testing which includes screening for insulin resistance. Learning more about your metabolism is the key to mastering your weight and balancing the key components of wellness: sleep, nutrition, exercise, energy, mood and sexual health. Intermittent fasting is just one of several strategies to empower yourself and regain control of the ever-shifting dynamic of life’s ups and downs. Fasting has been associated with renewal, balance and improved health. Research shows that depriving the body in this way gives cells a chance to rest, rebuild, repair and regenerate, which it struggles to do in the overfed state. The next time you have a craving, see if you can ride it out. The wave of hunger will pass. You may feel hangry. I know. Walk it off, stretch, breathe, replace the behavior of reaching for a snack with an empowering meditation, ten powersquats, a 30 second plank or take a quick shower. The wave will pass, they always do. You will feel a little jolt. Just like that, you just burned a little fat. Your blood sugar was restored, and you got a little burst of energy too. It works, I promise. There are also plenty of ways to creatively work with fasting, too. There are programs that mimick fasting, I met Dr Valter Longo’s team at a recent conference and their work with fasting has been awarded the first patent for anti-aging advances in medicine. The Prolon diet (www.prolonfmd.com) is a “fasting mimicking diet” I have a sample five day “meal kit” in my office and can walk you through it, if you are interested. I can order Prolon for you or help you customize a personal fasting program that is best suited to your lifestyle and metabolism. Certainly, we will talk a bit about your fasting insulin levels, hormones, sleep, stress and maybe exercise, too. The very best news is that we have made significant advances in medicine to identify medications and behavioral treatments that help manage cravings for food and alcohol, too. The binges and impulsivity that have you up at night picking through the fridge… those can be silenced. Riding out those waves of hunger will empower you. You will find a new hunger for what really motivates you to live your best life. Make it happen! Who knew that a fast could make you want to feast on life? Fasting rituals have been highly valued traditions for spiritual renewal through centuries of time.